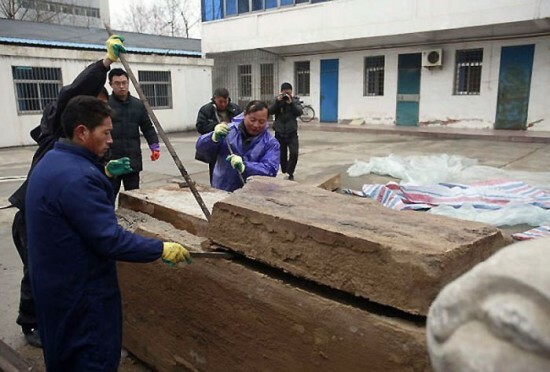 Road workers in the eastern China were given the task of widening a road in the city of Taizhou, in the Jiangsu Province. 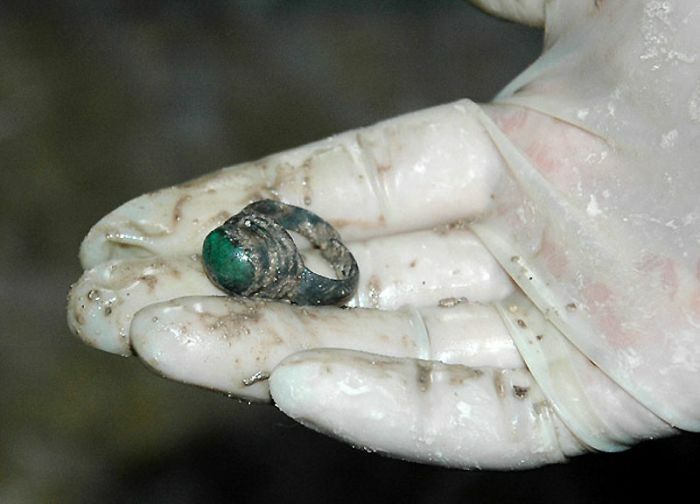 They were digging about 6 feet below the surface when they came across something completely by chance that no one was expecting to find. They hit something solid while digging and after a bit of research they realized that they had actually hit buried tomb. It was time to call in professional archeologists to unearth and reveal this mystery. 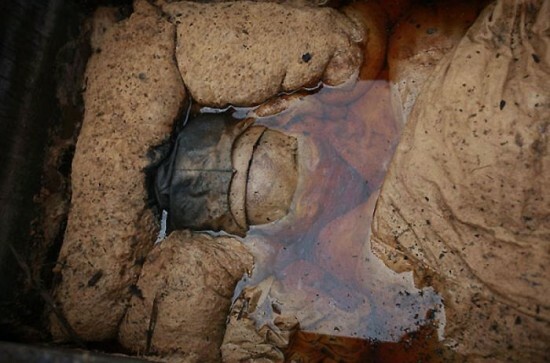 They found that the chamber was over 700 years old. 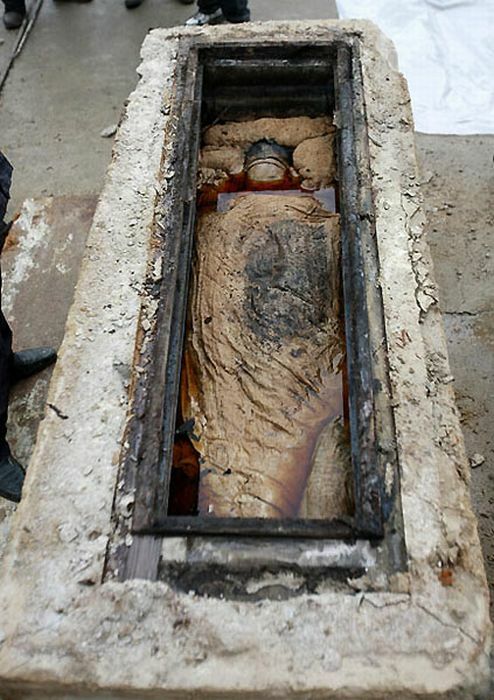 Here is the tomb after it was unearthed. A team worked together to open the box without disturbing the contents. Here the team prepares to see what was inside for the first time after 700 years. Encased in the stone tomb was a wooden box. 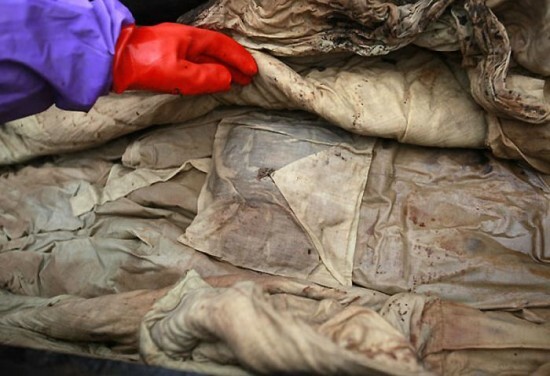 After opening the box they found that the contents were rare silks and linens lying in some sort of brown liquid. 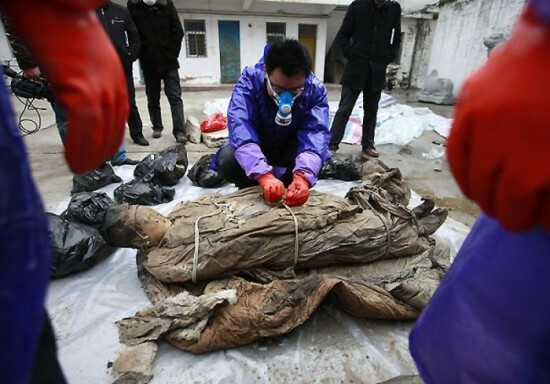 They discovered a mummy of a woman under the layers of fabric. They were amazed to see the body and contents in near perfect shape for being underground for over 700 years. 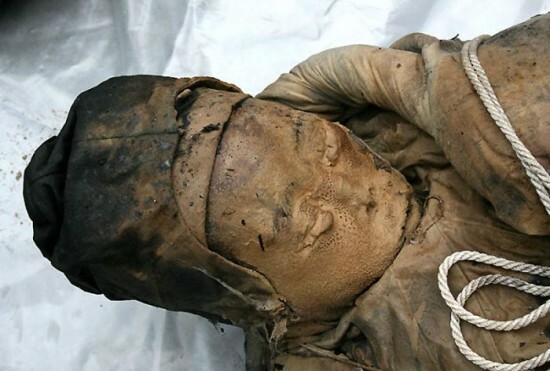 They think the mummy was a high ranking member of the Ming Dynasty. She was adorned with beautiful jewelry from the time period. 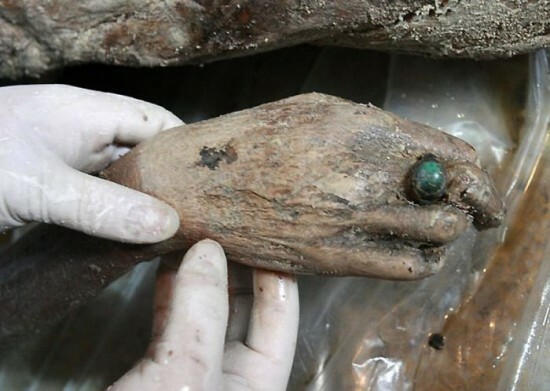 The team carefully moved the woman out of her tomb for the first time. 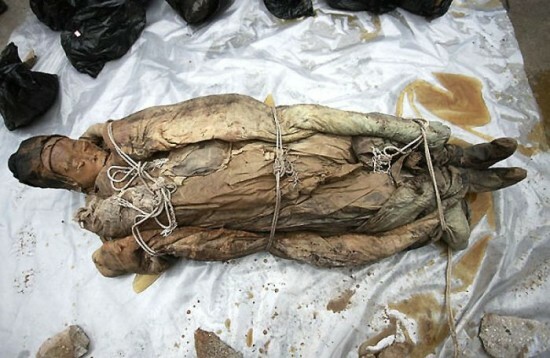 She was wrapped in many rare layers of fabric that would have been common for a high ranking member of the Ming Dynasty. Whatever she was preserved in was remarkable. She even had her eyebrows still attached. 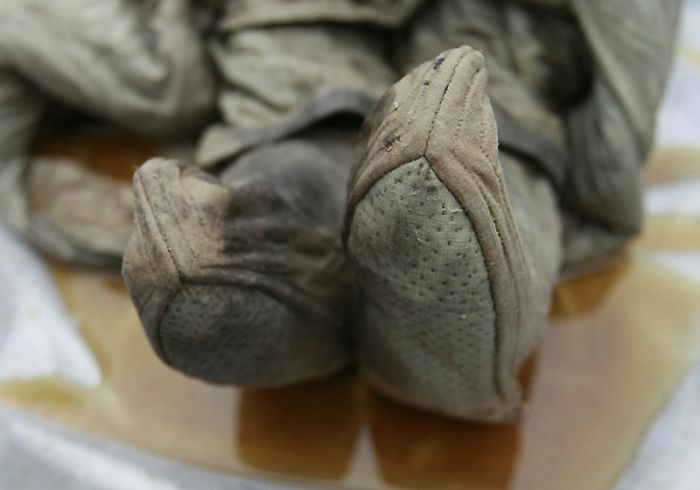 This close up of her shoes shows how well preserved her corpse was. This is a rare find and with advancements in archeology today she will stay preserved in a museum. What an incredible find to just stumble upon. 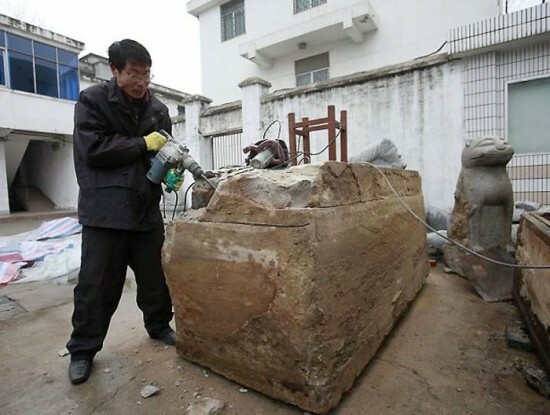 This find will answer many questions about the Ming Dynasty and the forbidden city in China. 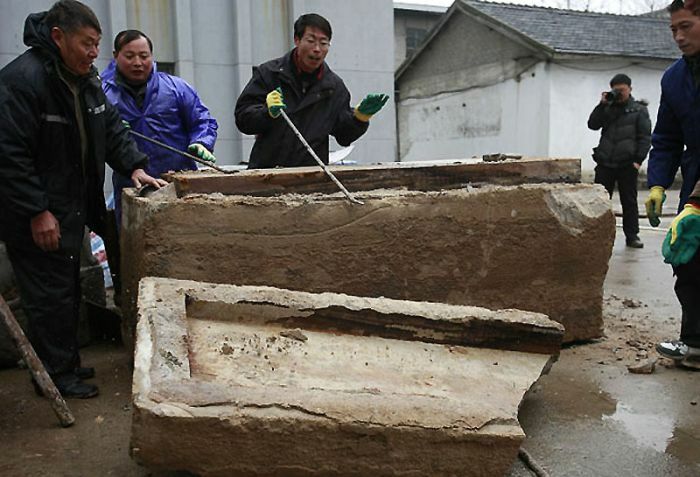 After excavating the site, archeologists found 2 other coffins that they are researching now. Im sure we will see more on this story as time passes and data is analyzed. Only time will unearth the beautiful secrets from the past.